Today, singer/songwriter Dan Fogelberg passed away from prostate cancer, which he found out about a few years ago. When I heard about his death tonight while driving in my car to pick up dinner, it reminded me in the back of my mind, that this day was going to come sooner or later. 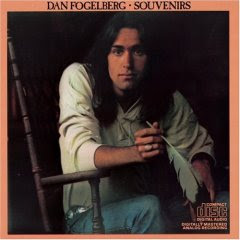 I am far from the biggest Dan Fogelberg fan, yet there was a period around 30 years ago where my friends and I were very much into two of his then-current albums, which was still early in his career. 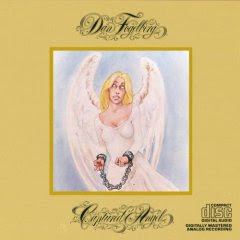 During my freshman college year, Souvenirs (1974) and Captured Angel (1975) got regular spins on my phonograph. Fogelberg was part of the burgeoning country-rock boom of the mid 70's which gave us The Eagles, Poco, Pure Prairie League Linda Rondstadt. Fogelberg was a multi-instrumental talent who clearly had classical and bluegrass influences, considering some of the serious orchestration and lullaby patterns of his music. He was a good looking dude like Jackson Browne, and his song lyrics were equally as self-observing as sometimes quite philosophical. Unlike the other country-rock pioneers who sang of Southern California life, Fogelberg was all about Colorado and the South. My friends and I had a saying that "if you felt depressed, you listen to Eric Carmen. If you felt betrayed, you listen to Dan Fogelberg." I have these moments All steady and strong I’m feeling so holy and humble The next thing I know I’m all worried and weak And I feel myself Starting to crumble. The meanings get lost And the teachings get tossed And you don’t know what you’re Going to do next. You wait for the sun But it never quite comes Some kind of message comes Through to you. Some kind of message comes through. Fogelberg's songs could be quiet ("Changing Horses, "Old Tennessee") or be straight ahead rockers ("As The Raven Flies"). On that Souvenirs album, there was a building ballad called "The Long Way" which I would play on the piano and my friend John would sing, working up bis best for the long notes of the final choruses. After these albums, Fogelberg got more pretentious and sappier, and that's when he lost me. I liked a little bit of his Netherlands album ("Once Upon A Time"), but that was it. Of course, this was when he became most successful with stuff like "Longer," "Leader of the Band," and "Heart Hotels." But I don't want to get much more critical than that now that he has passed. He was a fine fine artist and it's always sad to see a talent leave us so young. Tonight I felt a small part of my past fade out.